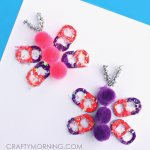 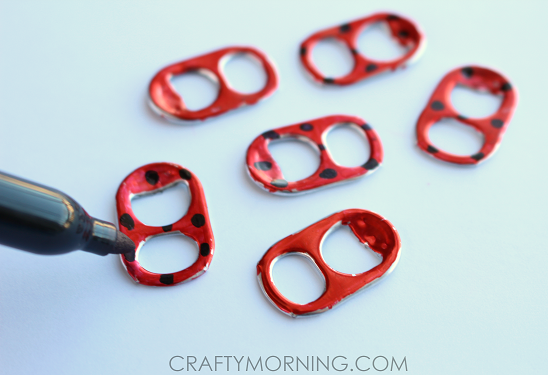 Save those pop tabs and make some adorable little ladybugs! 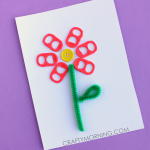 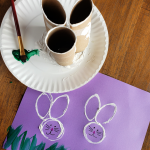 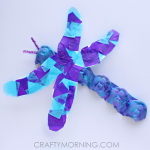 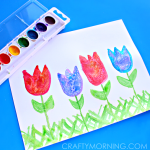 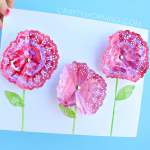 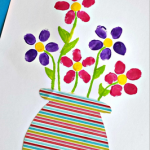 This is a fun craft for kids or adults to put on homemade spring cards. 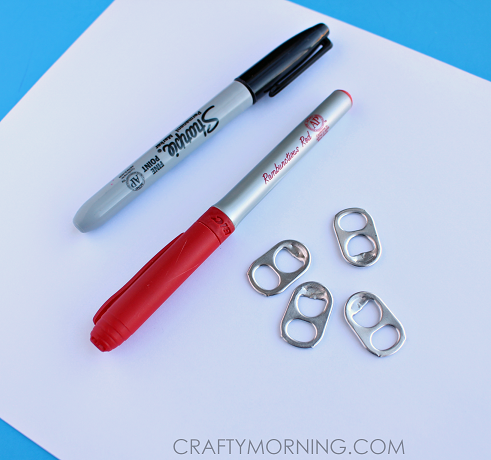 Color the pop tabs with a red sharpie then let dry. 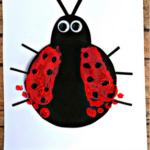 Take a black sharpie and draw dots all over them like a ladybugs wings. 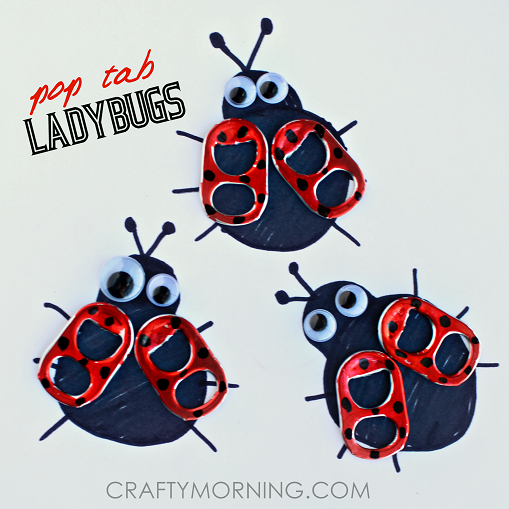 Draw a ladybug body with black marker and glue on the pop tabs. 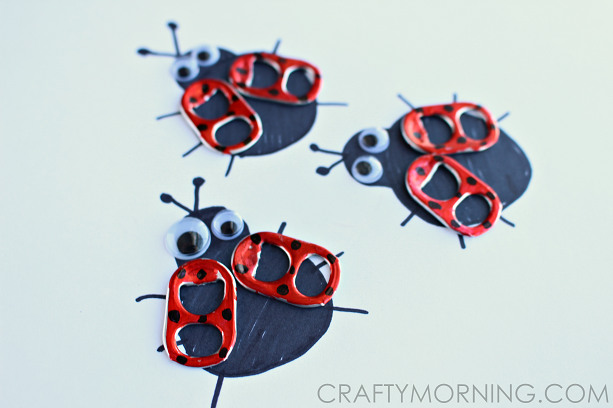 Add some funny googly eyes and you have yourself some cute ladybugs! 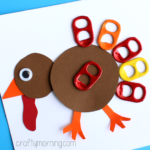 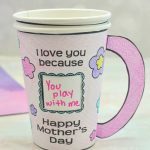 So cute and simple with materials we already have on hand – all the ingredients for a perfect craft! 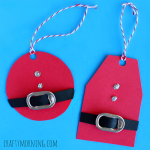 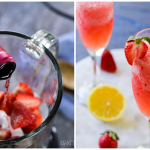 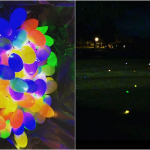 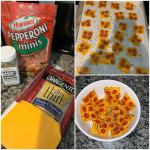 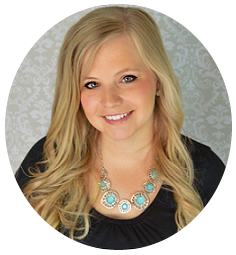 Thanks for sharing this idea, Michelle!